Die Einreichungsfrist für Beiträge zur European DDI User Conference endet am 6. September 2015. Die Konferenz selbst findet am 2./3. Dezember in Kopenhagen statt. Die Konferenzwebseite enthält schon jetzt die wichtigsten Hinweise und den CfP. 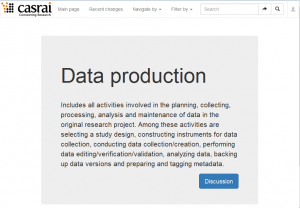 The Consortia Advancing Standards in Research Administration Information (CASRAI) provides a dictionary containing terms for the Research Data Domains. Each term has a unique identifier (UUID) and a URL that can be used as references to enhance reading comprehension of documents by hyperlinking terms to their definition. The URL for each term contains a link to a Discussion page to complete the feedback loop with the community of users. The Glossary has been developed in consultation with vocabulary experts and practitioners from a wide cross-section of stakeholder groups. 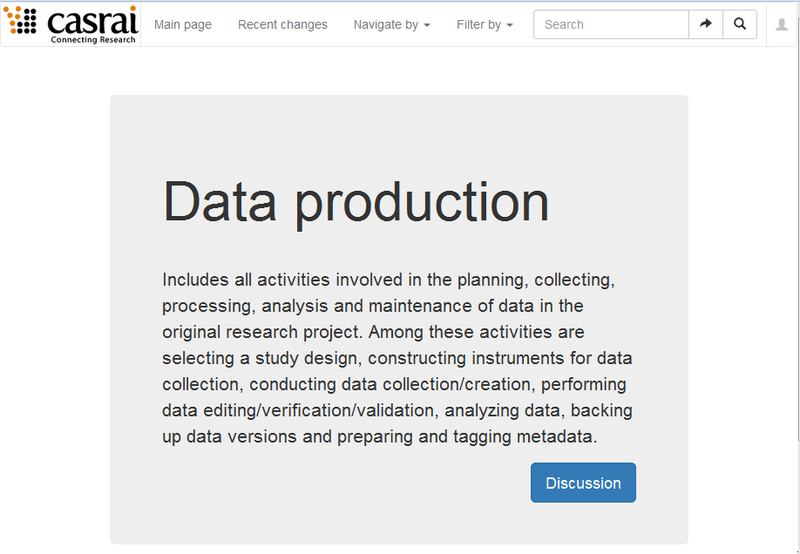 It is meant to be a practical reference for individuals and working groups concerned with the improvement of research data management, and as a meeting place for further discussion and development of terms. The aim is to create a stable and sustainably governed glossary of community accepted terms and definitions, and to keep it relevant by maintaining it as a ‘living document’ that is updated when necessary. This section of the dictionary is developed and maintained by Research Data Canada’s (RDC) Standards & Interoperability Committee (http://www.rdc-drc.ca) in collaboration with CASRAI. It is made publicly available under a Creative Commons Attribution Only license (CC-BY). Thanks to the SSC maintainer Kit Baum, two new commands are available on SSC: useold and saveascii. Both deal with unicode translation in Stata 14 (or younger). useold works as an inline replacement for Stata’s regular use command. If the version of the Stata instance executing the command is 14 or younger, then it is checked if unicode translation is necessary and, if yes, unicode translate is executed on a temporary copy of the file before opening it. The default code page of the operating system is assumed as source encoding (which might be wrong and can be overridden via option). saveascii works as an inline replacement for Stata’s regular saveold command. It implements conversion functions as presented by Alan Riley here on Statalist.If the version of the Stata instance executing the command is 14 or younger, all unicode contents (data labels, variable names, variable labels, value label names and contents, characteristics names and contents) are converted to ASCII before running saveold. The default code page of the operating system is assumed as target encoding (which might be wrong and can be overridden via option). Both packages come with help files that contain more details on how to use them.